Borderlands and Aliens: Colonial Marines developer Gearbox Software has bought the rights to intergalactic RTS Homeworld from the ongoing THQ back catalogue assets auction. The acquisition of such a title by Gearbox, with its penchant for shooters, may be a little surprising but the studio’s CEO said he is a huge fan of the series. In a statement on the Gearbox Software site Brian Martel, Gearbox Software's Chief Creative Officer, said he “has great love and respect for Relic's brilliant, fun and innovative game and personally spearheaded the acquisition”. Homeworld fans shouldn’t fear any dramatic excursions from the game series they know and love as Martel intends “to preserve and assemble the purest form of the original acclaimed and beloved games, Homeworld and Homeworld 2, with the intent of making them accessible on today's leading digital platforms”. While that doesn’t address the desires for a Homeworld 3, it will be good for fans of the series to benefit from updates to the existing games and we may well find them redistributed with modern widescreen and multiplayer support. 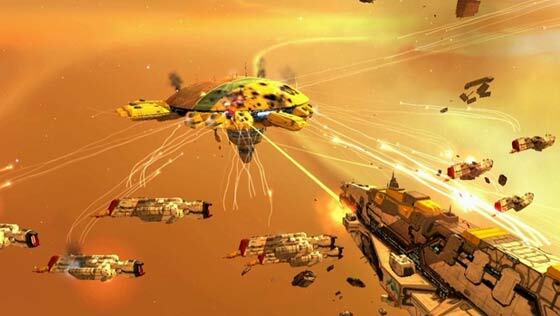 The Homeworld series of games was originally developed by Relic Entertainment. In a previous round of auctions for THQ assets Sega bought Relic but it is not clear whether Sega was interested in the Homeworld IP. Competitors to Gearbox in the bids for Homeworld were said to be Stardock and a group of Homeworld fans who had raised $58,644 via crowdsourcing site Kickstarter. 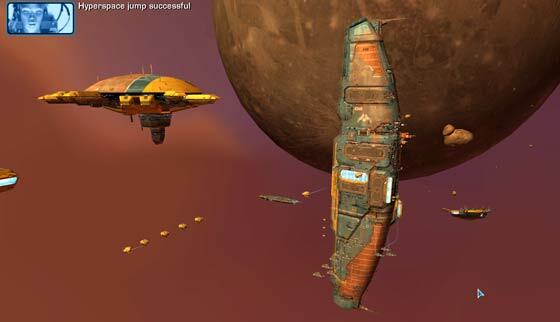 Gearbox paid a much more substantial $1.35 million for the Homeworld license. Joystiq reports that Nordic Games has picked up the rights to develop a number of other THQ properties which weren’t picked up in the first round of auctions. Nordic picked up Darksiders, Red Faction and MX vs. ATV for a sum of $4.9 million. It also acquired “Titan Quest, Supreme Commander, Frontlines, Stuntman, Juiced, Full Spectrum Warrior, Destroy All Humans and much more”. The Nordic Games CEO Lars Wingefors said he was “very happy” with the acquisitions and intends to “cooperate with the original creators or best possible developers in order to work on sequels or additional content for these titles.” The company wouldn’t be dashing in to start up developments based upon all the projects, “in-depth analysis” and various financial models need to be looked at first. Great… another franchise for Gearbox to mutilate and destroy!.